Members of the Islamic Hamas movement rallied in the Gaza Strip on Friday as part of preparations for marking the 29th anniversary of the group’s foundation. After Friday’s weekly mass prayers, thousands gathered in the northern Gaza Strip area of Jabalia waving Hamas green flags and chanting slogans against Israel, where Hamas leaders addressed the crowds. Khalil al-Hayya, a top Hamas leader in Gaza, told the rally that his movement succeeded to oblige the Israeli army to lose its strategic power that was used during the previous wars waged on the Gaza Strip. Hamas, which stands for the Islamic resistance movement, was founded in Gaza on Dec. 15, 1987 by its spiritual leader Sheikh Ahmad Yassin whom Israel assassinated in an airstrike in Gaza in 2004. 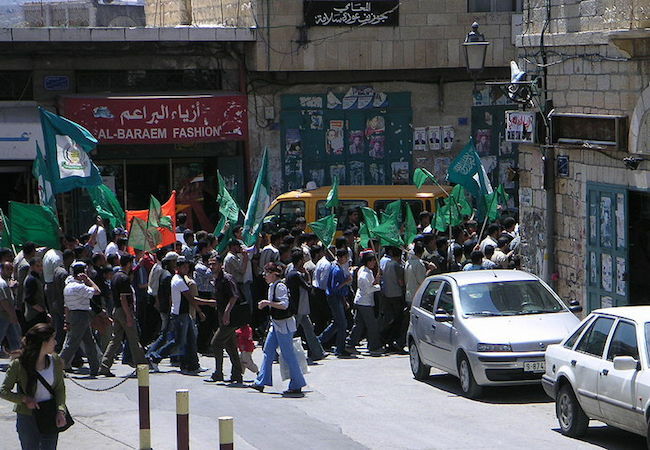 Al-Hayya told the rally that Hamas armed wing, al-Qassam Brigades, fought the Israeli army to the end during the large-scale Israeli military air and ground offensive waged for 50 days on the Gaza Strip during the summer of 2014. “During that war, all the establishments and airports were in the grip of al-Qassam Brigades militants, who were able to strike whenever and whatever they want,” said al-Hayya. Two Israeli army officers went missing during the offensive. Israel said the two were killed, while Hamas refused to give any data on their fate and insisted that there is a price for providing any data.